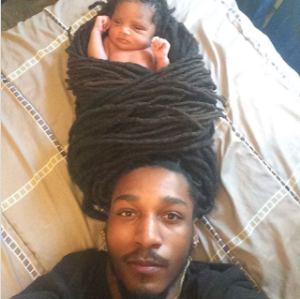 Even this innovative, proud dad… Bakari. Fathers are known to do various things to protect their children, especially their daughters, but this takes the cake. Relaxing in bed, as most do on Saturday mornings, a brilliant idea popped into Bakari’s head. Climb on The Family Tree below & share your thoughts about My Nephew Bakari's wrapping situation!